Search for Owner Operator Jobs and Apply Today! Becoming an owner-operator may not be for everyone, although these jobs certainly have their benefits. For drivers who operate under their own authority, they’re really running a small business. That means taking care of the all the finances related to hauling goods, maintaining equipment, and obtaining the necessary permits and licenses. Sure, company drivers don’t need to focus as much time on these aspects, but owner-operators make up for this in independence. Owner-operators can decide exactly what kind of business they want to run, right down to the routes they travel and the loads they haul. These drivers also have the freedom to pick their own equipment, trucks, trailers, and which companies they want to work with. As long as freight rates are good, owner-operators can maintain profitable and flexible business models. Unfortunately, the higher costs associated with becoming an owner-operator mean most millennials and younger drivers aren’t able to immediately take this career path. Still, drivers with lots of experience in the industry are prime candidates for starting their own businesses and operating under their own authority. As it stands, the OOIDA has filed lawsuits and continues to request exemptions for ELDs alongside other organizations who oppose the mandate. Although the OOIDA hasn’t had complete success with the FMCSA’s ELD regulations just yet, they plan on continuing the fight against oppressive regulations imposed by big trucking companies. 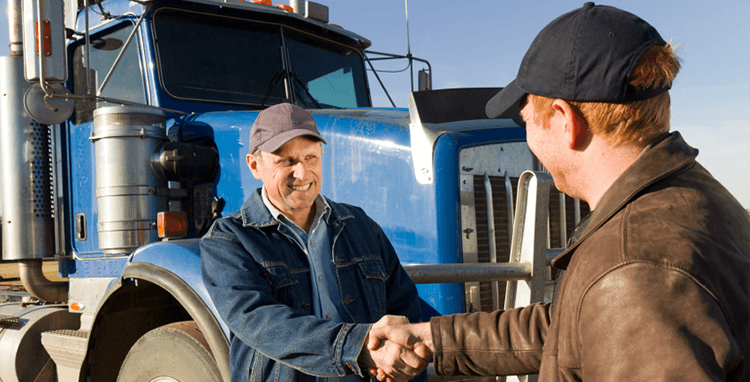 Overall, becoming an owner-operator can provide massive benefits for drivers who want to start their own businesses. Even though there are more expenses associated with getting started, many agree that the rewards are well worth it. And with organizations like the OOIDA backing owner-operators, there is support and solidarity when needed. What is your experience as an owner-operator or thinking about becoming one? Leave your thoughts in the comments below!